Excited to finally share with you the cover and blurb for my new novel, out in September with HarperCollins (what did I say here? PINK! Bisous, HarperCollins, and bisous to Belinda Alexandra for the kind cover quote). 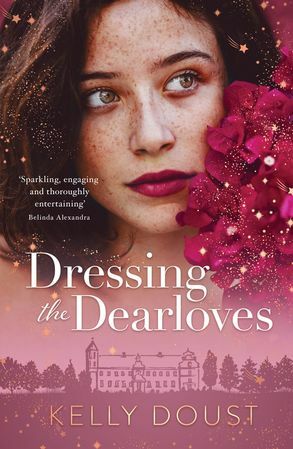 Romantic, warm, and glamorous, moving from Edwardian England to the London Blitz to present day London, Dressing the Dearloves is a story about the corrosiveness of family secrets, the insecurities that can sabotage our best efforts, and the seductive power of dressing up. Kelly Doust, author of Precious Things, spins another warm, glamorous and romantic mystery of secrets, love, fashion, families – and how we have to trust in ourselves, even in our darkest of days. One for lovers of Kate Morton, Belinda Alexandra, Fiona McIntosh and Lucy Foley. You can pre-order a copy here.